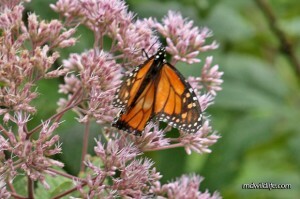 Monarch sits with wings spread. Probably the most ridiculously well-known and recognizable butterfly on the planet. They have those in Maryland. It flies every year from Canada to Peru, or somewhere else, and finds something or someplace on instinct alone and it’s amazing and incredible … I don’t know. There’s also something fantatsic it does in the winter – I don’t know that either. I told you, I’m not a scientist. Here’s the scoop from me: They are in Maryland, probably a little more common later in the summer than in the spring. That appears to be the lifecycle. As for where? I have run across Monarchs everywhere, from out west at Dan’s Mountain, over to Millington, down to Blackwater. If you go out, you’ll see one. I caught the mating photo to the right in August, so if that’s your thing, late summer for the Monarch. Otherwise, I don’t mind telling you they are a bit of a pain. You’ll notice I have no really good open wing shotm and I tell you these suckers have been move quick on me this year. The Monarchs have been very sensitive and taking off on me at first focus. They also can be quite particular, and may do a bit of flying and flapping before deciding to settle somewhere. Monarchs also tend to be high flyers, so they’ll shoot out of range on you, or hang out somewhere up ona tree where you have no chance to get a good shot. Monarch butterfly clings to some attractive bush. 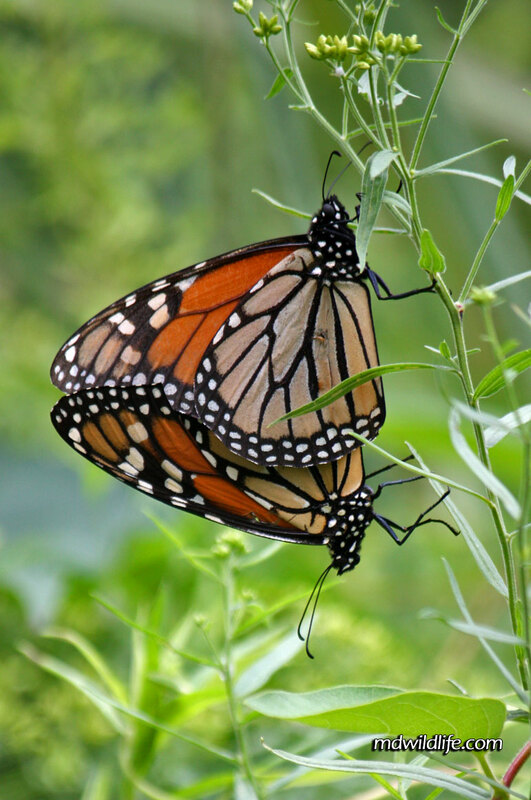 Viceroy has an additional horizontal black vein on its hindwing. 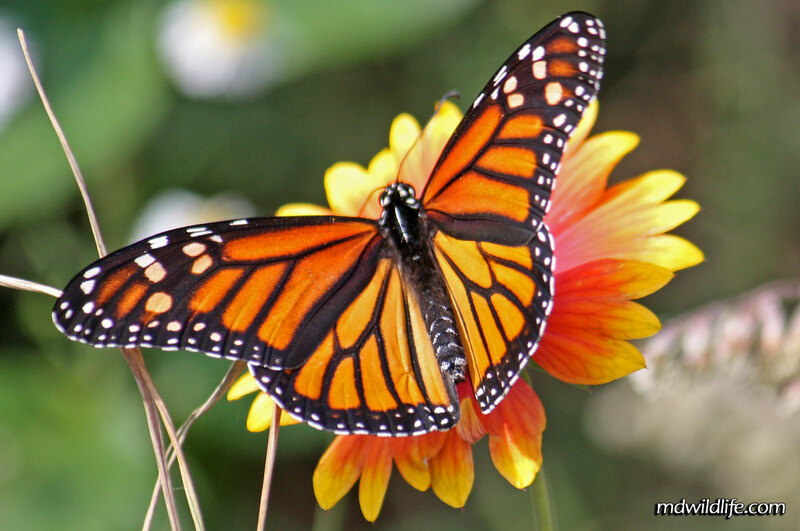 The Monarch has a double pattern of white dots along its wing edge, while the Viceroy mark is more of a single white ridge. The Monarch is fairly large, while the Viceroy is smaller. Beautiful. Well done. I am an Artist who loves to draw the Butterfly and Flowers. Just can’t help it. I would like to use this image for a personal project as a gift for my wife. Is it possible to obtain a higher resolution image for this particular picture? Also, thhank you for allowing me to comment! Short, sweet, to the point, FRa-xeEEctly as information should be! I would comparable to thnkx for the efforts you have situate in prose this blog. I’m hoping the consistent high-grade website send as of you in the forthcoming as thriving. All the rage piece of evidence your creative writing skills has positive me to get my identifiable web site at the present. In truth the blogging is spreading its wings hastily. Your write awake is a fantastic illustration of it.